My new Step-Grandmother was turning me into a Witch! August 12, 1964, Wednesday. Saw “Marnie” and “Doctor Strangelove at the Loyola Theater in Westchester with Bonnie C.
My Horoscope said there would be an inharmonious atmosphere and personal wishes unheeded. It all came true too, because Nana came over and was very sick. She thought she was dying because of her headaches. We even had a doctor come over. So the whole day was gloomy. Then, tonight Bonnie and I went to the show and I saw Byron’s car. I wanted to see him so bad… I thought he must be at the show too and I hoped he wasn’t with that girl… I was nervous and looked out for him all night…after the show we didn’t see him and his car was gone so my wishes fell through. We went to A&W after we left the show. 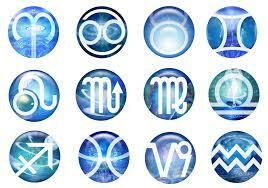 I never was interested in horoscopes until my grandfather’s new wife, Mary, got me involved with them and numerology. She had lived with a Medium for 40 years before marrying Granddaddy at 70 and believed in past lives… she even said my mother and I had been her children in another life. Now she was turning me into a Witch!!! I think I wanted to put a spell on Byron! This entry was posted in 1960's Surf Culture, 1964 High School Diary, Chick Secrets, Maybelline Girl, memoir, REALITY BLOG, Southern California 1964, teenage reality blog and tagged Alfred Hitchcock Marnie, Culver City, dating, Dr Strangelove, horoscopes, Loyola Theatre, Maybelline, Maybelline Story, Saffrons Rule, Sharrie Williams, Surfer's Rule, West Side Surfers, Westchester High School. Bookmark the permalink.